Many weed species commonly found in California can be found on the UC IPM website. The site is designed for easy identification. The identification process is separated by type of weed – broadleaf, grass, sedge, and aquatic. Each of these sections includes: tutorials, high quality photos at multiple life stages, common and scientific names, and recommend management practices. Resources for home gardeners and agricultural producers are available. We also have our own website with all the local weeds that was compiled by Susan Latham, UCCE Master Gardener. 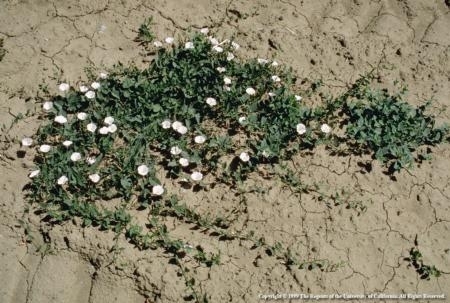 Field bindweed (Convolvulus arvensis). Photo by Jack Kelly Clark. 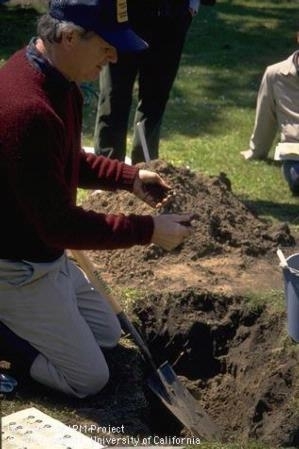 Soils perform vital functions, and are the basis of the ecosystem. Healthy and productive soil is vital for our survival. It is an amazing resource and fascinating to learn about. Soils perform vital functions, and are the basis of the ecosystem. It is an amazing resource. Photo by J.K. Clark. 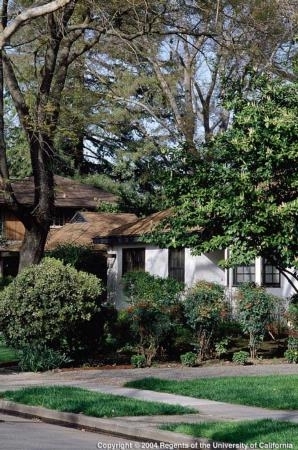 Our office has recently been receiving calls about water bills and landscape plants. The rising cost of water will only continue to influence plant choices as we move forward. UC’s A Guide to Estimating Irrigation Water Needs of Landscape Plantings in California: The Landscape Coefficient Method and Water Use Classification of Landscape Species is a helpful resource and can be accessed online in its entirety. UC ANR publications can help reduce water bills while maintaining beautiful and healthy landscapes. Photo by Jack Kelly Clark. Asian citrus psyllid, has not recently received much attention in the news media. However the pest, and the deadly bacterial disease it can carry, are still of great concern. 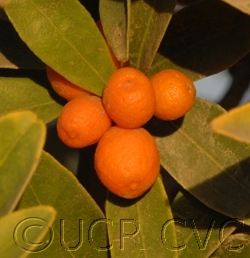 Kumquats are hosts of ACP and HLB. Photo from UCR Citrus Variety Collection. The Asian citrus psyllid (ACP) has now been found in eight California counties. Quarantines are in place. The psyllid by itself is not much of a problem; it is its ability to spread the fatal disease that has the potential to devastate both the California citrus industry and backyard citrus throughout the state. Huanglongbing (HLB) is the name of the disease ACP can carry. Citrus and closely related plants are at risk. The disease is transmitted between plants by the psyllid. The psyllids transmit the disease to healthy plants and trees. After feeding on an infected plant, the ACP will transmit HLB to every other plant it feeds on. While much outreach has focused on citrus trees, it is important to remember there are other plants that can host both ACP and HLB. This list from the University of Florida provides both the common and Latin plant name for many known hosts. Hosts include: curry leaf, ornamental orange-jasmine, and all the varieties of citrus, including kumquat, mandarin, grapefruit, orange and all of their hybrids. Please remember to check your citrus and closely related plants regularly for signs of ACP or HLB. General information about this pest disease complex can be found on this section of the CDFA website. For local updates, the Ventura County ACP Task Force is a great source of information. 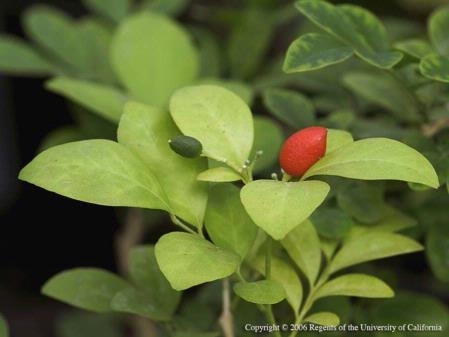 Orange jasmine (Murraya paniculata) is a close relative of citrus, and a host for ACP. Photo by E.E. Grafton-Cardwell. There are a large number of wasp species in California. Only a few species live a social life. Some of these wasps perform a great service by killing large numbers of plant-feeding insects and nuisance flies. Left on their own, wasps are not a problem. They become a problem when they sting, or threaten to sting humans. Luckily there are steps to take to reduce the potential for interactions with these potential pests. UC ANR’s Yellowjackets and other social wasps publication can help. 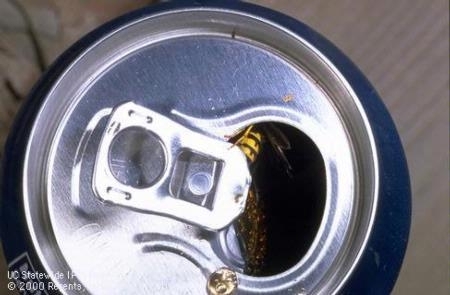 When scavenging at picnics or other outdoor meals, wasps will crawl into soda cans and can sting your lips or the inside of your mouth or throat. Photo by Jack Kelly Clark.